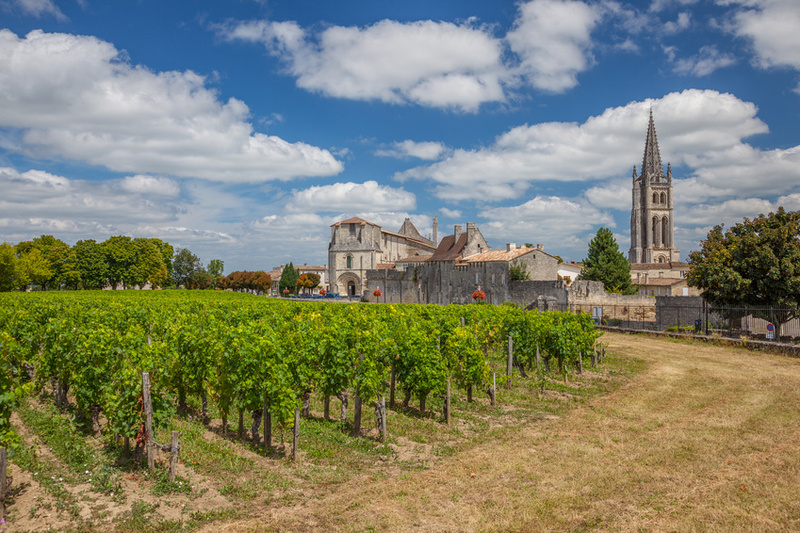 Gironde is world famous for it's wonderful wines such as those from the vinyards of Medoc and one of its most well known towns, St Emilion, whose vineyards have been listed as a UNESCO World Heritage site. However, it's not just the fabulous vineyards of Bordeaux, that make the Gironde one of the most coveted places to own property in France. Situated in the South West of France in the region of Nouvelle Aquitaine, Gironde is the largest départment of mainland France, and takes its name from the majestic estuary formed by the confluence of the Garonne and Dordogne Rivers. This large and diverse region has something to suit all tastes, including sandy beaches on the Cote d'Argent, with a host of popular seaside resorts such as Carcans, Hourtin and Montalivet. Arcachon is home to the largest sand dune in Europe, the Dune du Pilat (reportedly the most visited tourist destination in Gironde), which lies at the northern end of the the largest forest in Europe the foret landaise. Many of the worlds' most famous wines come from vineyards within 50 miles of the regional capital Bordeaux, a listed World Heritage site and one of the most interesting and attractive cities in France with some wonderful 18th century architecture, along with its popular museums and festivals. To the East of Bordeaux you will find the beautiful historic town of Saint-Emilion, (listed as a UNESCO World heritage Site,) which has a unique underground 'monolithic' church. The enchanting Medoc area of Gironde is mostly renowned for its world famous red wine, based around Margaux and Pauillac. The entire inland area of the Gironde départment is dotted with architectural heritage, including Romanesque churches, fortified hill top towns, mediaeval castles and Renaissance citadels. As this area is a huge magnet for tourists from all nations, it is an ideal place to buy property for investment for holiday lets, buy a holiday home to let out when you are not using it yourself, or indeed to buy a permanent home to enjoy the mild climate, the warmth and friendliness of its people and the cultural wealth that this department of France has to offer. Gironde being the largest department in metropolitan France, it is no surprise that it offers a wide variety of properties in different price ranges. Starting from the West of the department, Arcachon is a well known relaxed holiday spot. It is important to note that only about 40% of its population live there all year round and therefore its popularity with holidaymakers makes it a rather exclusive and an overall expensive hotspot in the department. The Girondes' Atlantic coast is generally rather costly in terms of property. 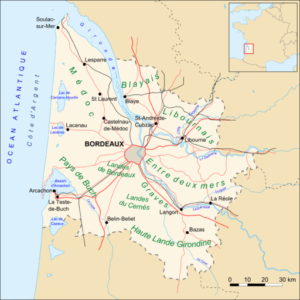 Going a bit more inland, you will find the capital city of the department: Bordeaux. This is a very lively town with a lot of activities and festivals and being one of the largest city in France it is also a big employment hub. Despite all its attractions, Bordeaux is still one of the cheapest largest town in the South of France. The new high speed train line linking Paris to Bordeaux in 2 hours which will be launched in 2017 will make this beautiful Unesco registered city even more attractive to people wanting a lively pied-a-terre in the South of France. Immediately to the North, East and South of Bordeaux lay some of the most well known vineyards areas in the world. St Emilion, Pomerol, Sauternes, Medoc wine appellations all lie in an area within a 50km radius around Bordeaux. These areas are of course prime hotspots for anyone looking for a vineyard property in France and out of these famous names, smaller less well known vineyards of the Bordeaux area can be surprisingly affordable. Price per hectare of vineyard starts from 20,000€ but can easily reach over 1,000,000€ per hectare in the most prestigious appellations such as Pomerol. Moving even more inland, the area lying in between the 2 motorways is known as the Entre-Deux-Mers and stretches all the way to the eastern border of the Gironde department. Towns such as Monsegur, Sauveterre de Guyenne, Castillon-la-Bataille or Langon offer access to all amenities and activities while giving easy and quick access to Bordeaux. This area is also the most affordable part of the Gironde in terms of property, this is also where you will find some of the more reasonably priced vineyards. No guide of the Gironde should be complete without mentioning the popular market town of Ste Foy la Grande. This beautiful medieval bastide town lie on both banks of the Dordogne river and acts as a gateway to the neighbouring department the Dordogne. The Gironde climate is often described as oceanic with a warm summer and mild winter - snowfall is a rarity in the department. Although the Gironde oceanic climate is quite different from the other French departments on the Atlantic coast and could almost be seen as Mediterranean, as the department tends to run hotter average temperatures than its counterpart departments on the west French coast. However the substantial amount of rainfall during the summer the months make its' climate quite different from the one of the areas along the Mediterranean coast. The Gironde is both a great place to move permanently or to have a holiday house. 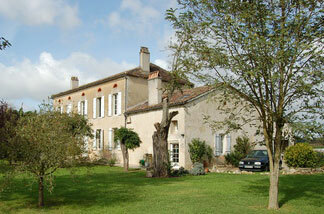 Bordeaux is also a great place to purchase if you are looking at a pure investment property. From city apartments for long term rental and residential area houses in lively villages, to small pied a terre cottages to gîte businesses and of course at the more prestigious end of the spectrum châteaux and vineyard properties, the Gironde is a very varied department where every single buyer should be able to find their dream property. The traditional house of the department varies from one area to the other utilising local materials and has also evolved over time. The Girondine house is usually a property on 2 levels without a basement and has quite a symmetric shape- with the door in the middle of the main facade and the same number of windows on each side. It is made of stone and the roof - often 4 pentroofs - is covered in Gironde tiles. They have a distinctively classical and bourgeois feel to them. These 2 types of properties represent the historical wealth and power of the Gironde area. The Maisons de Maître are grand symmetrical houses with spacious rooms, large windows, high ceilings and imposing classical fireplaces. A step up from the Maisons de Maître are Châteaux which are the ultimate status and wealth symbol that used to accommodate the French aristocracy. Many architectural types of châteaux can be found in the Gironde from the more square and symmetrical to the fairy tales Disney like style. 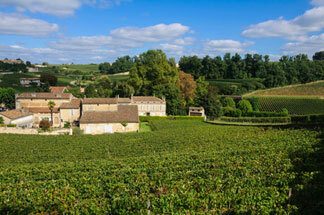 With more than 123,000 hectares of Bordeaux vineyards, wine estates are a very important type of property in the area. Historically the above types of property - Chateaux, Maisons de Maitre and Girondine houses - were the housing styles found on such estates however with the division of vineyards into smaller plots in the last century, it is now not unusual to find modern houses on wine properties. There are great variations of price from one vineyard property to another: the amount of land with vines, the style of property on the estate, the appellation of the wine and the location of the property in the Gironde will determine the price of the estate. 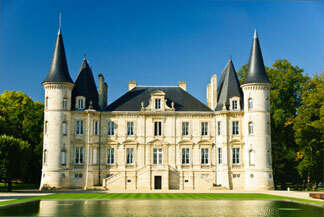 I am thinking of buying a vineyard in the Bordeaux area, is it a good investment? There is no short answer to this question. Owning a vineyard in France is for many owners more than just a money making enterprise, they take great pride in their wine and in being part of something contributing to the French culture and patrimoine. 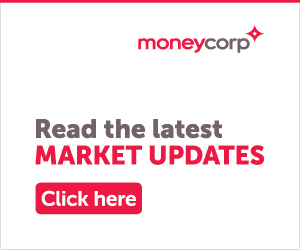 If profit is the most important for you and you are seeing this as a pure investment, only large estates - and therefore more expensive ones - will enable this. Profitability of the property will also be dependent on the commercialisation of the wine produced on the property - for instance properties bottling their wine on the property are 3 times more profitable than properties selling barrels. Marketing is a very important aspect to consider: making wine is not difficult - I did not say making good wine though - but selling it is the hard part. Another thing going for vineyards compared to other agricultural estate is the difference of taxation as well as the fact that vineyards tend to hold their value well. I am looking for a small house in France, I only have a small 100,000€ budget and love the Gironde area. Do you think this is something that is realistic? While 100,000€ might be more than sufficient in many areas of France, it might be a difficult search in the Gironde. Bordeaux is a large pole of employment and therefore the commutable area around it is very popular which is of course driving the prices up. The coastal area of the Gironde has always been very sought after by commuters working in Bordeaux but wanting a more relaxed living environment as well as with Parisians looking a holiday homes - and of course the arrival in 2017 of the Bordeaux to Paris high speed train line is going to increase this demand. Your best bet is to look to the East at the border Gironde and Lot et Garonne but even there your budget might be a bit tight and will mean considering a renovation project. My wife is going to work part time in Bordeaux and I am thinking of running a gite business from our new property in the Gironde. 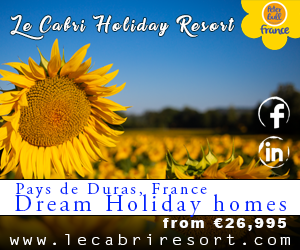 I am wondering if this is not too far from the popular tourist areas such as the Dordogne? The Gironde is extremely popular with holidaymakers from all over the world. Of course the British are very familiar with the Dordogne however the Gironde attracts more tourists on a yearly basis that its neighbouring department thanks to a more global audience. The attraction that the vineyards represent in the area could be a great opportunity to develop a different angle to your gite business with perhaps wine tasting holidays. If you’ve got your heart set on a French property in the beautiful department of Gironde, a phone call to the FrenchEntrée Property team is a great place to start.